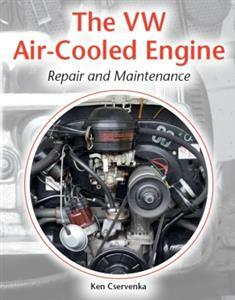 The VW Air-Cooled Engine is a no-nonsense engine manual that any practical-minded person can understand, giving a highly illustrated step-by-step guide to dismantling and rebuilding a Type 1 engine. Most of the operations described in the book can be applied to the Type 4 unit used in 1700, 1800 and 2-litre Transporter models as well. With over 300 colour images, this book will be an invaluable resource for anyone involved in the repair and maintenance of these iconic engines.